Light where you want it, when you want it, that's Aladdin! Aladdin designed this frame after their 1940's Model B Tilt Frame. 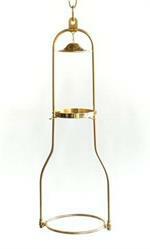 The tilt design allows for easy removal of the lamp base for refilling, or using the lamp in another location. 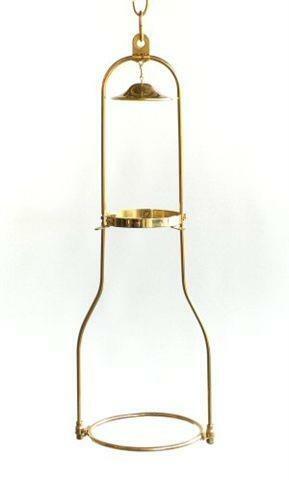 Solid brass construction. 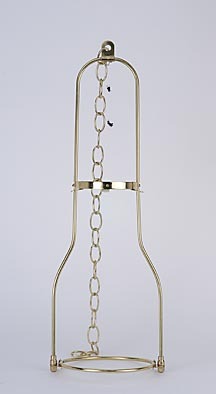 Includes 18" of solid brass chain for hanging, and shade mounting screws. This frame needs a minimum of 12" of clearance from the top of the frame to the ceiling.